Better Reading Support Partner (BRSP) training is available in the Autumn term and delivered by Literacy Central & Marie Kilgallon Associates Limited. The dates are September 18th & 19th , September 24th & 25th, October 8th & 9th, October 15th & 16th, October 22nd & 23rd, November 5th & 6th, 12th & 13th, 26th & 27th. The training is at various venues in the North East. BRSP is a ‘light touch’ reading intervention for pupils in Years 1 to 10 who have fallen behind at reading. A specially trained Better Reading Support Partner delivers a short one-to-one support programme to help them to develop independent reading and comprehension skills so that they can make accelerated progress and catch up with their peers. 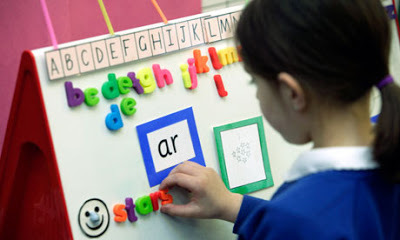 It has been developed by National Advisers from Edge Hill University in liaison with Bradford local authority, updating the authority’s earlier Better Reading Partnership, to provide a balanced approach to developing phonic skills, comprehension and the enjoyment of reading. • enjoy and develop a long-lasting enthusiasm for reading. 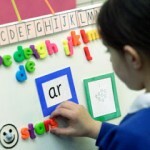 A Better Reading Support Partner provides a 10-week programme of three 15-minute one-to-one support sessions per week for selected pupils, using simple and effective assessments to inform the selection of a carefully structured sequence of texts that are finely tuned to the pupil’s skills and interests. Within a relaxed environment the pupil is given the time and space both to practise and apply their skills and to talk about their reading with an interested adult. The school selects one or more suitable TAs to train as Partners, e.g. a teaching assistant with successful experience of supporting children’s reading, and a link teacher who acts as the BRSP Co-ordinator for the school, managing the partnership in school and linking with the school’s senior leadership team, class teachers and parents. Ideally, the Co-ordinator is a member of the senior leadership team. The cost of the training is £300 per person for the two day course. This includes all refreshments, programme handbook, and access to on-line guidance and resources. Detailed data analyses of pupil’s progress and a summary report for one year initially are included in the price of the training.